Just days after it went on sale, the OnePlus 5T has started receiving its first update. 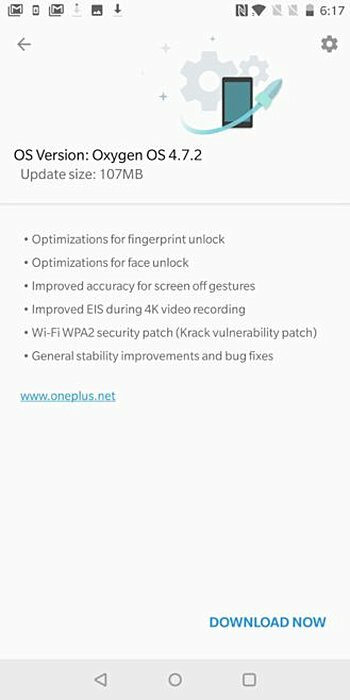 Weighing in at 107MB and arriving as Oxygen OS 4.7.2, the update brings along fix for the Wi-Fi WPA2 security issue (a.k.a the KRACK vulnerability). Multiple other changes are also included, like optimizations related to fingerprint and face unlock and improvements related to EIS during 4K recording as well as accuracy for screen off gestures. Of course, some usual stability and bug fixes are there as well.